sounds very intresting, can't wait to see them. thx 4 info, ur mod was shown on motors tv according to virtualr.net. This should guarantee its place as the best racing mod ever. 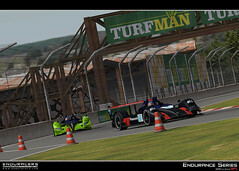 Please find on the links below the first shots of the Acura ARX-01 LMP2 created by EnduRacers for the Endurance Series SP1. The car comes in 01a and 01b versions, for the 2007, 2008 and 2009 seasons of the ALMS championship, including all the real skins created. Thanks for the screens klo-che. Those Acura's looks stunning. I can't say much else. To be honest i am supirised how quickly you guys make these cars.. and yet they look like quality cars. forgive me please if i say anything negative. Im gessing your new here? They don'y have release dates cos it puts preasue on them and they could rush things. thats why there current mod is out of this world! Oh will you guys include 2010 skins? and the 2009 for the other cars currently in the series? 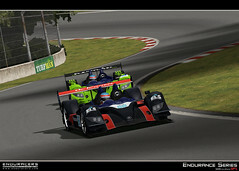 cos here's a team wich has the best paint sceem ever on the Aston martin DBR9. No plans for 2010 yet. but take the time u need !!! Congratulations. Great work!. 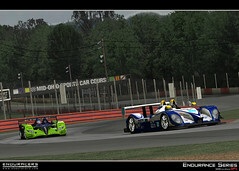 Endurance Series is my favorite mod and also the most real. I wonder if there are plans to introduce the mod other LMP1 cars, as Pescarolo Judd, Oreca AIM, Lola Aston Martin, and others. for the 2009 cars and onwards are guys going to cut the wings back so they fit the regulations? lets say in 2009 01 and so on? cos the rear wing they had to cut 40cm off. here's somthing for u if u want a release date. the last car they had screenshots of the acura, took 3 months after the porsche, sooo.... if u go of that it should be about a year intil this pack is released. wich seems like a long time and im sure il be released before then but, as they say there is no released date or a deadline of anysort. Hi guys, my first post here. - There is no release date for the SP1. 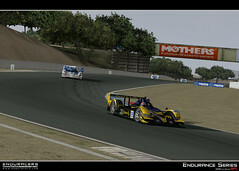 - We will see when the SP1 is released the car we will include in the SP2. Cars like Pescarolo or Aston Martin are on our wishing lists, but we duno for when. 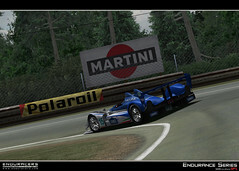 - Yes the cars of the 09 season are using 09 shapes (Porsche Spyder, 908, R10). - Saying "when all the SP will be released" is a bit utopic, our goal is to add for each SP's new cars to the mod, but we don't see any end to this, we will keep working and adding. As for all seasons cars released, i don't think cause they are cars people would never play and are not at all interested in. As for GT1 2010 cars, most of the team don't really like these new rules and cars. 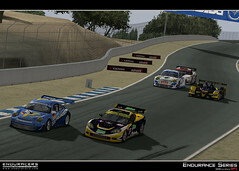 And nothing is decided for FIA GT 2009 skins Too.